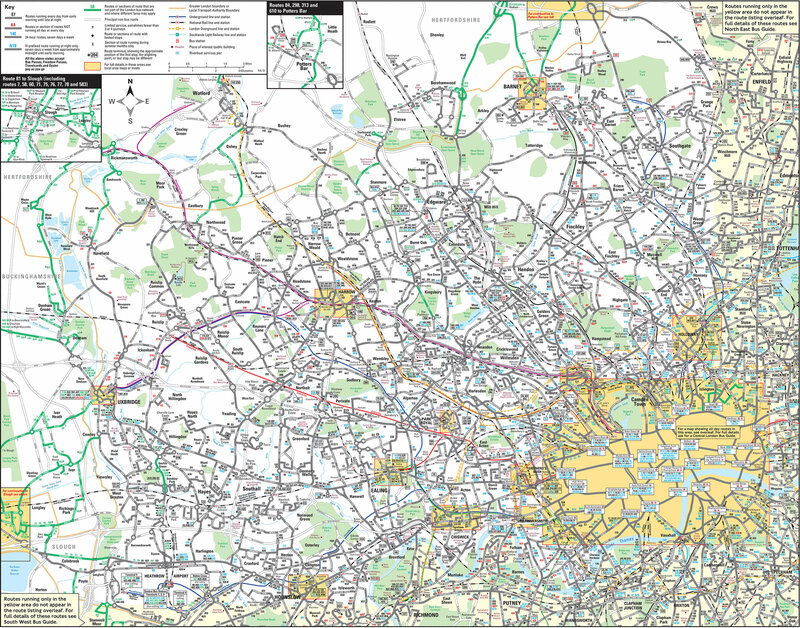 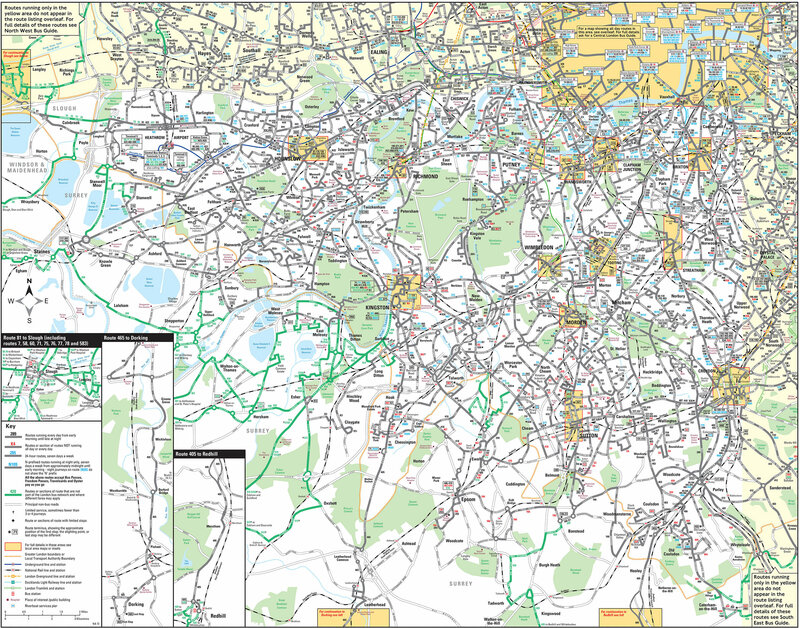 You can find on this page the map of Central London bus, the map of North West London bus, the map of North East London bus, the map of South West London bus, the map of South East London bus and the map of Central London night bus. 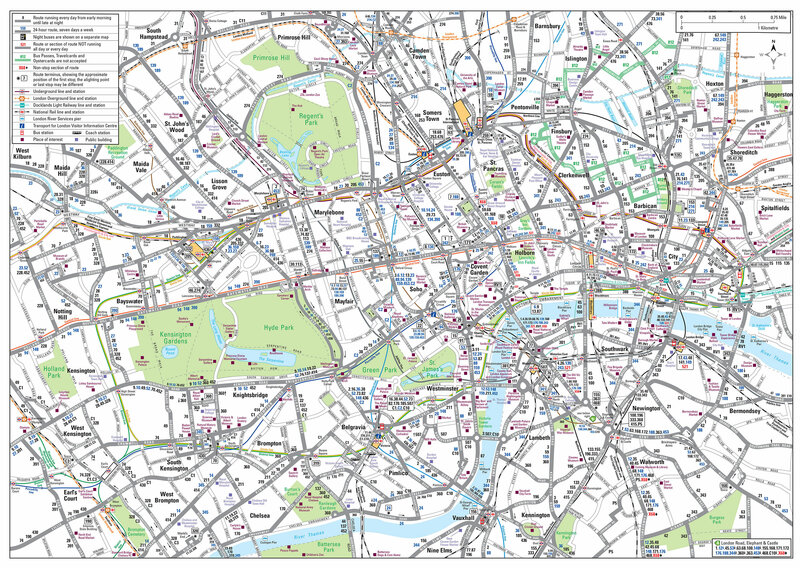 London buses are a transit system serving the city of London (United Kingdom) with the tube, the urban, suburban & commuter train, the tram or the river bus. 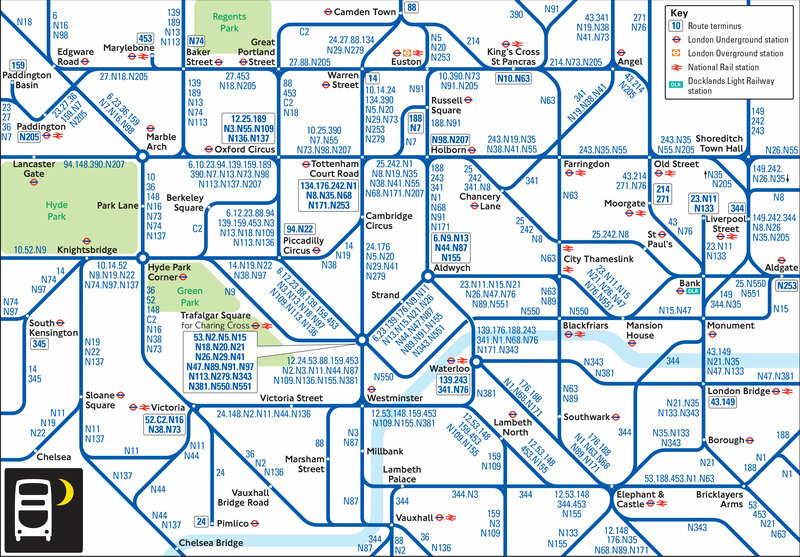 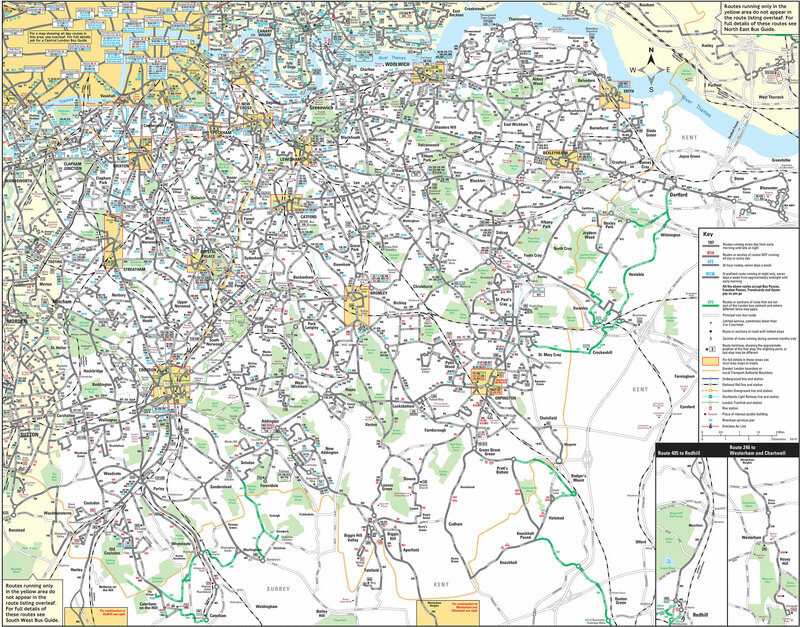 The bus & night bus network has 673 lines (621 regular bus / 52 night bus) and 19,000 stops. 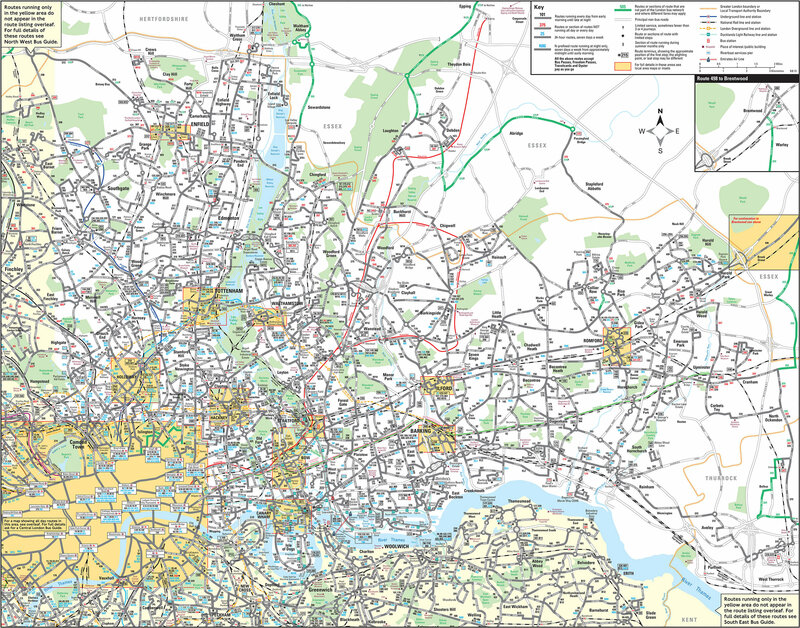 The London night bus network is operated by various private companies such as Go-Ahead London, Arriva London, Abellio London, Metroline, London United, etc... Its network includes 52 lines which are active between midnight and 6:00 AM.